It’s a fact. Starting on January 1, 2011, 10,000 Baby Boomers a day have turned 65. Experts say this will continue until 2030. One thing many Boomers have in common is being referred to as “empty nesters.” Their children are grown and have left the nest. While we’ve heard more about “boomerang” children (older children who return home to live with their parents) in the past decade, empty nest families are still a reality. Here’s what we know about Baby Boomers who are finding themselves on their own for the first time since their children were born. 36% of Baby Boomers plan to move once their kids have left the nest for good. A third of them say they will relocate to a home at least three hours away. 55% of this age group say they will make the move when they retire. If they wait until retirement to relocate, over half of them will go more than three hours away. Just under half of those who moved or are considering a move now that the kids are gone are in search of a smaller home that is easier to maintain. Knowing how to begin the process of downsizing can be a real hurdle for many older adults who are ready to make a move. Here are a few tips that will help make the process of downsizing to the right size living environment go a little more smoothly. If you are like most families, you’ve acquired a lot of “stuff” over the years. The longer you’ve lived in your house, the more likely your attic, basement and every spot in between are to be packed full of long lost treasures. Many of which may belong to your children. If you are stuck and aren’t quite sure how to begin downsizing, one tip senior move managers often suggest is that you start in the areas of your home that you use least often. 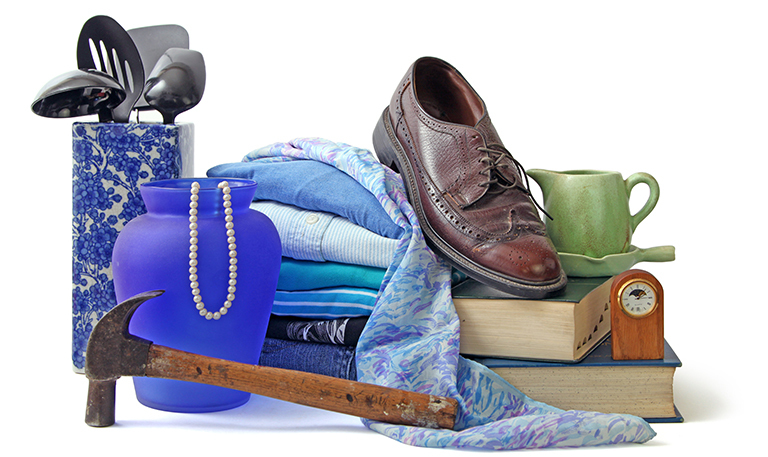 As you sort through each room, think about every item in terms of its final destination. Be ruthlessly honest with yourself. For example, do you really need each and every Christmas ornament your children made in grade school? Maybe the kids or even your parents might want to have a few? While 58% of empty nesters say they are emotionally ready to let go, many find the process to be a little harder than they anticipated. Women are more likely to struggle with it than men. The process of leaving the family home and a lifetime of memories behind can be difficult. Give yourself time and permission to reminisce as you work your way through the downsizing process. The process of downsizing to the right size home can put you on an emotional rollercoaster. It may help to make time to document your memories while you are still in the house. One way might be to create a room-by-room video tour of your home guest starring your family members. Have each person in the family share a memory or two on camera. Your kids might get a kick out of sharing how they snuck in the side door past curfew or the fact that their bedroom was always a disaster during their teenaged years. Our final tip as you are working your way through the downsizing process is to remember that you are on your way to an exciting new chapter in life. 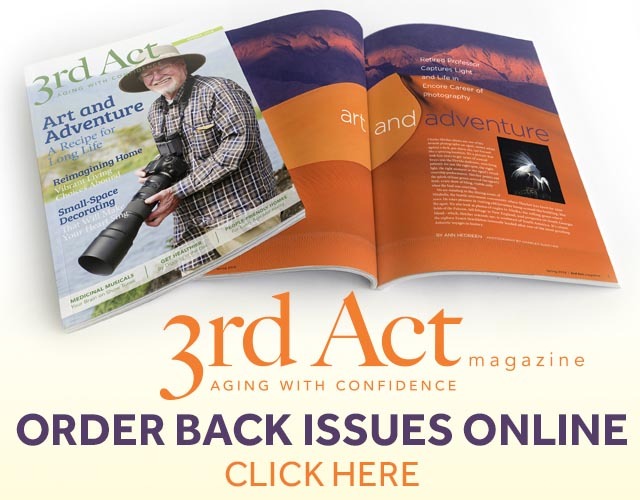 Your “3rd Act” might be the best one yet! You may enjoy connecting with other older adults in and around the Seattle area. One way you can do that is to Like Us on Facebook. 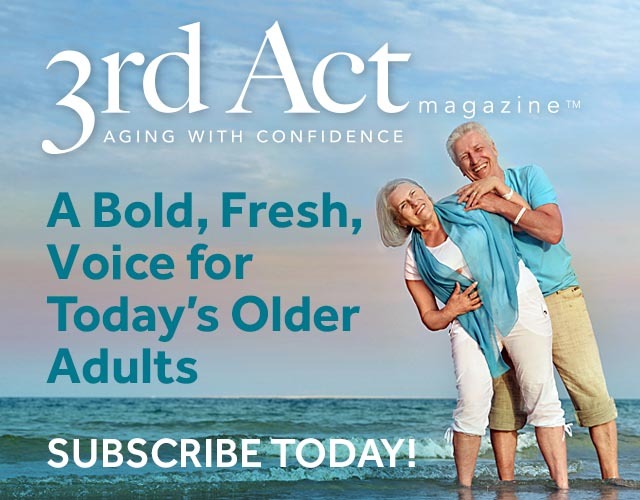 We share inspiring stories along with educational resources for adults who are redefining retirement years.